Terry Tully’s name is synonymous with Traditional Irish Music. His accomplishments both as a solo player, composer and as Pipe Major of St Laurence O’Toole Pipe Band have given a huge boost to the credibility of Irish piping. Terry followed in the footsteps of his paternal grandfather, father, mother and uncles who were all pipers. His first lessons began in 1966 – his first and only tutor was his father Tommy. Terry’s solo career began in the juvenile grade at the All Ireland Championships in 1971 where he finished 3rd. Throughout his 25 plus years competing in solos, he went on to win many titles including three senior All Ireland titles. In 1973 Terry joined St Laurence O’Toole Pipe Band along with this two piping brothers Patrick and Brendan and under the leadership of his father. 1974 was a proud moment for PM Tommy Tully when he was carried off the field by his three sons and other band members after winning the Grade 3 All Ireland Championships. 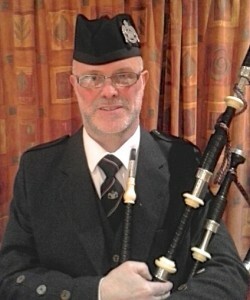 Terry became Pipe Sergeant of the band in 1980, a job which also included helping his father with setting up the sound. Terry retired as Pipe Major of the St Laurence O’Toole Pipe Band at the end of the 2013 season. His proudest moment came when his own son Alen and other band members carried him off the field after winning the Grade One World Pipe Band Championships in 2010.